Powerful and fast acting, combining natural citrus oil extract and cornmeal hand scrub for a deep clean. Removes ingrained oil, grease and some paints and adhesives. Contains moisturiser. 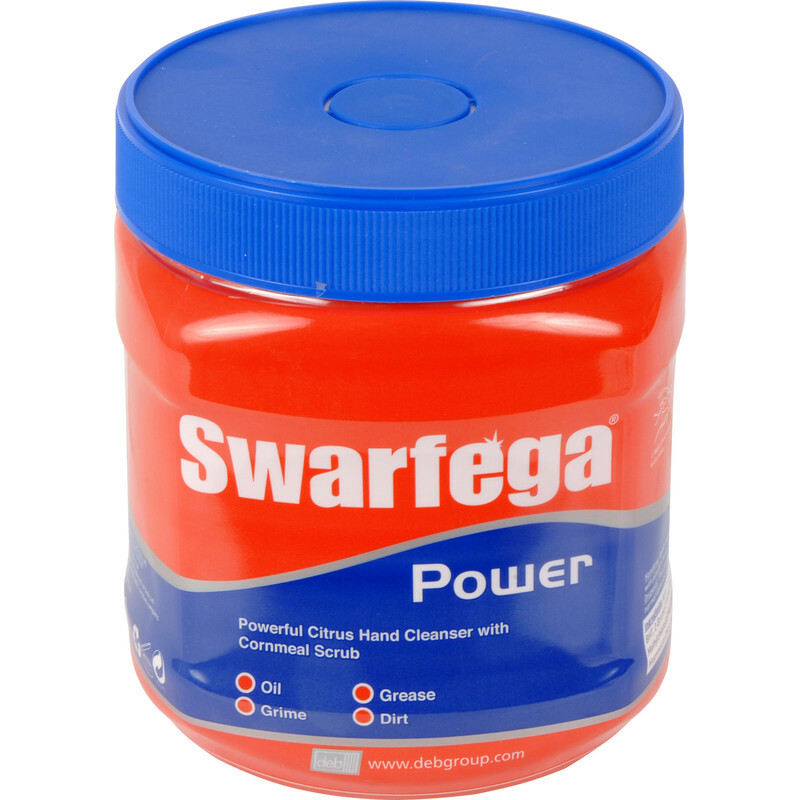 Swarfega Power Hand Cleanser 1kg is rated 4.7 out of 5 by 3. Rated 5 out of 5 by Alanjs from The best I've found Cleans all kinds of filth off my hands effortlessly. Rated 5 out of 5 by Engineer from Best Yet Better than the 'Green Stuff'' Very effective at removing ingrained dirt, no scrubbing. Applied before wetting hands, gently massaged in, rinsed off, leaves hands clean and soft. No more dried skin and sores, Magic.